" This battery pack has worked well the few times I've had to use it. With my Remstar Auto at 10 cm, it lasts for about 6 - 7 hours. " 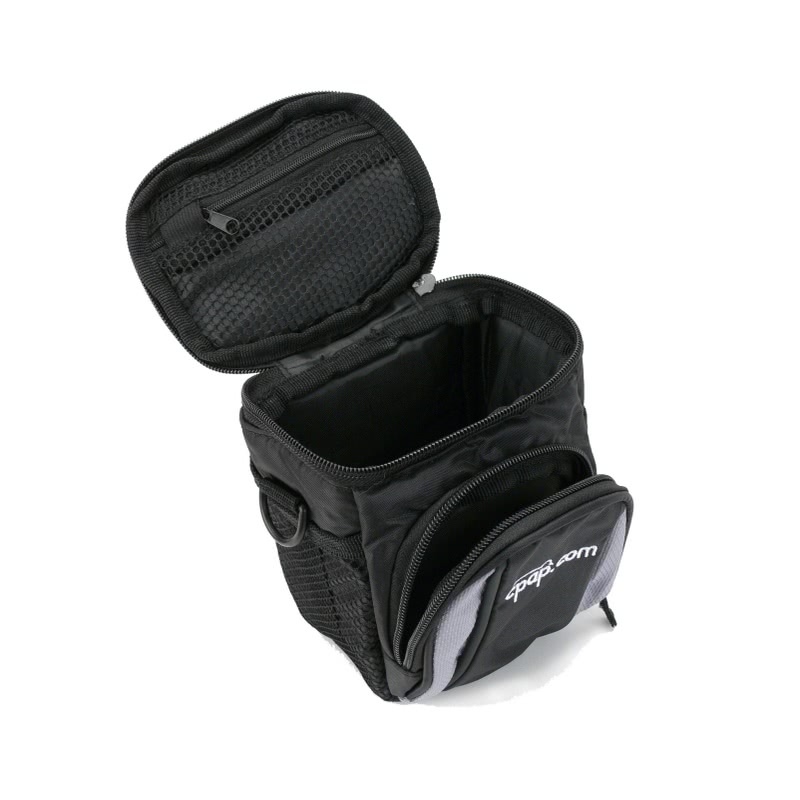 " A must if you like to travel where there is no power, I do and this has allowed me to car camp and battery camp! " Are you concerned about not being able to use your CPAP machine in the event of a power failure? 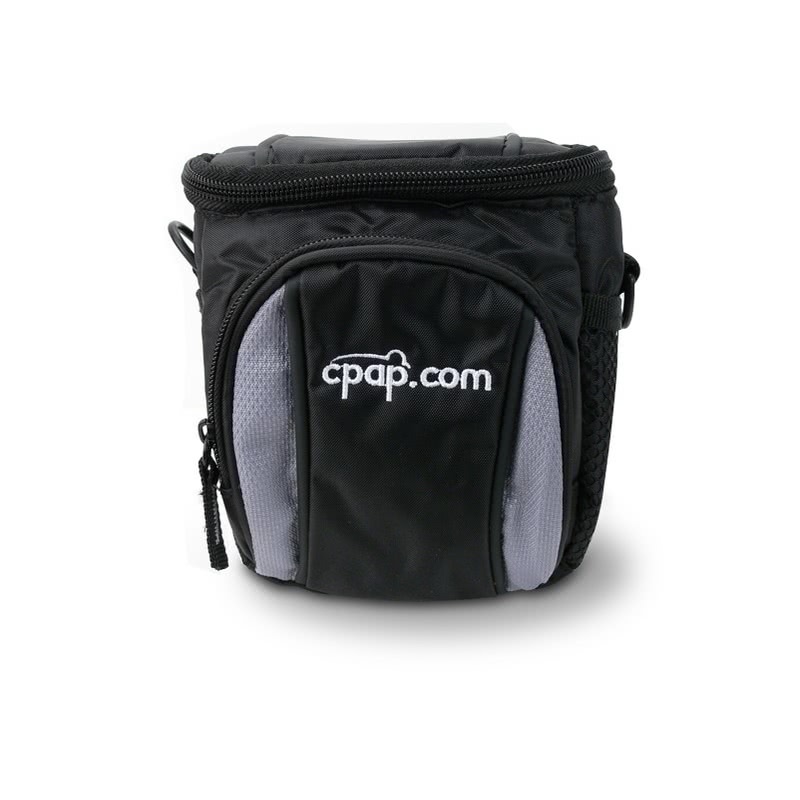 Are you are interested in taking your CPAP on a weekend getaway, vacation, or camping where there is no electricity? At last there is a convenient, cost effective way to run your CPAP machine from an external battery source, that is less than half the weight and size of any CPAP battery pack in its class. 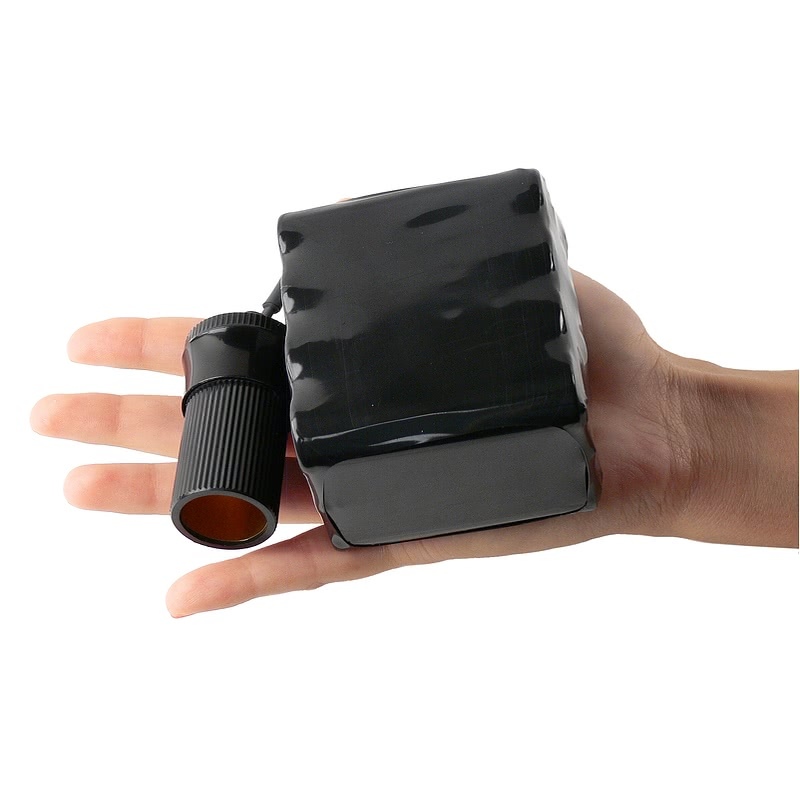 CPAP.com is proud to bring you one of the smallest, lightest, CPAP battery packs on the market. The battery weighs just 1.25 pounds and the entire kit is only 2.02 pounds. Small & Lightweight. The 1.25 lb CPAP.com Battery is surprisingly small and lightweight. It features robust power that is rarely seen in battery packs twice its size and weight. 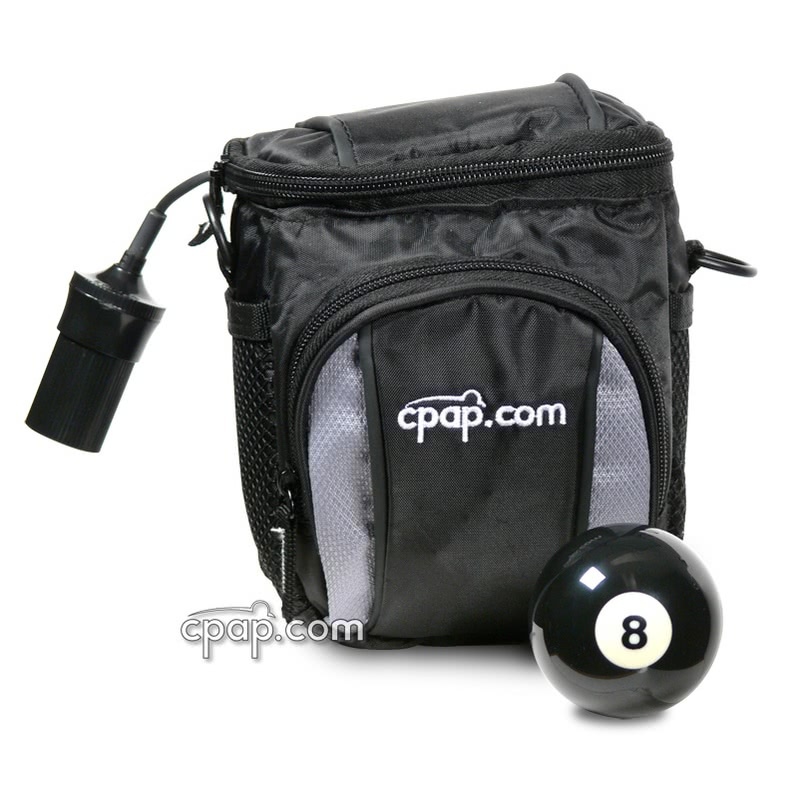 The entire package, including the battery charger, carrying pouch and battery is only 2.02 pounds. 12v DC Cable Not Included. 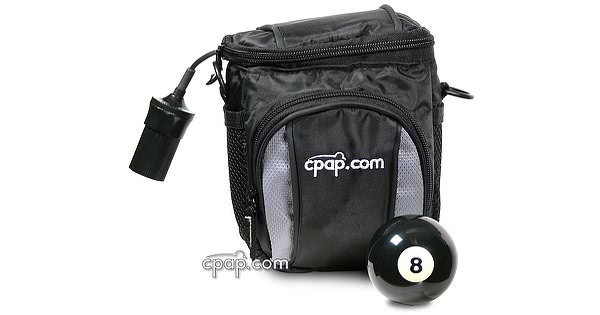 This product does not include the 12 DC cable needed to power the cpap machine. This No DC Cable option is perfect for someone who already has a 12v DC cable for their cpap machine. Complete Battery Kits Available. If you do not have a DC cable for your machine, you can select from one of the Battery Kits below that come with the parts needed to run the CPAP.com battery with your machine. Each Battery Kit lists the machines that are compatible for that kit. If you have any questions call our toll free number 800-356-5221 for assistance from a CPAP expert. 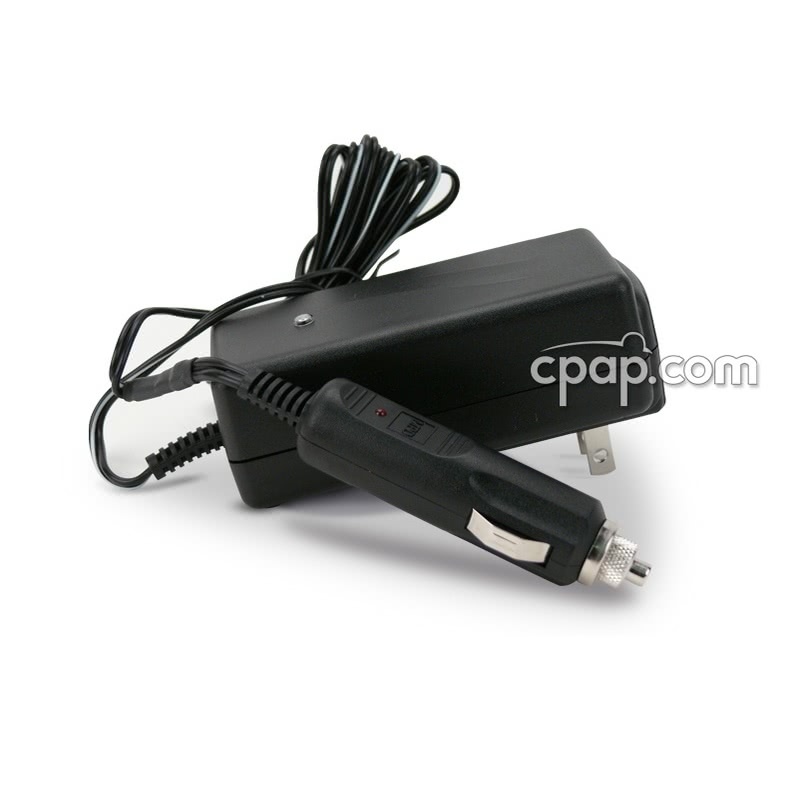 This model battery pack does not include the 12 Volt DC cable needed to power the CPAP machine. 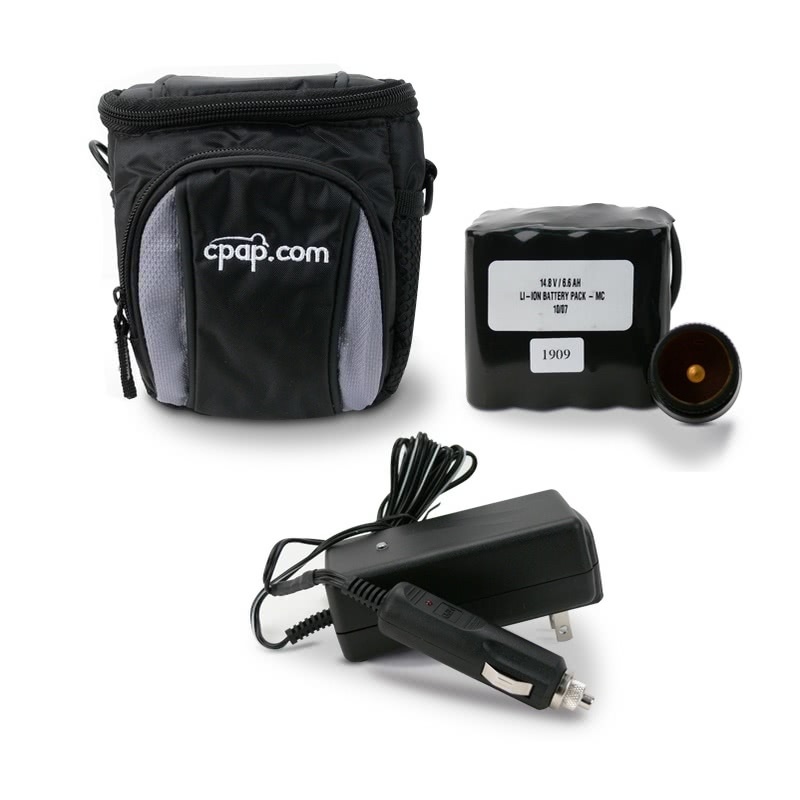 The CPAP.com Lithium Ion Battery Pack is compatible with any CPAP machine that has a 12v DC input. This includes Respironics Remstar Series, Respironics M Series, Puritan Bennett 420 series and Resmed's S8 series CPAP machines. See the CPAP.com Lithium Ion Battery Pack Kits which include machine specific DC cables. Charger Cable Warning: The CPAP.com Lithium Ion Battery Pack must be charged using the included specially designed battery charger. Using any other charger may damage the battery and become a fire hazard. The battery pack is shipped with a minimal charge and must be charged for ten hours before it can be used for the first time. 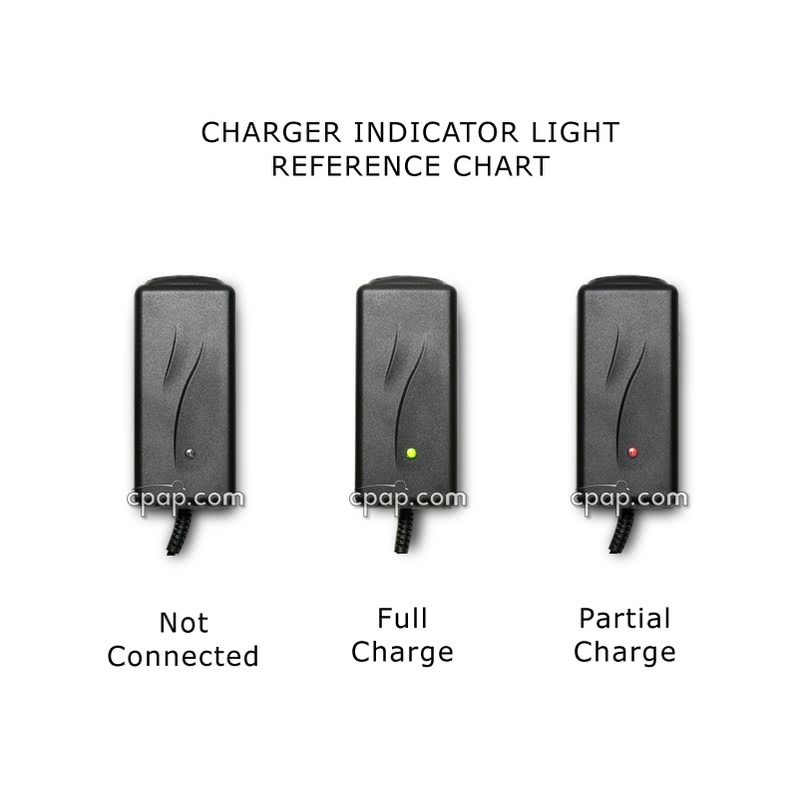 The battery pack must be recharged using standard AC 110v to 240v power, and cannot be recharged off of a battery or solar source. The CPAP.com Battery Pack will not work with the AEIOmed Everest Polaris 19V Mobile Converter: There is not enough voltage from the battery to support the Converter. Air Travel: The CPAP.com Battery Pack uses lithium ion batteries which are allowed as carry-on luggage by the FAA and TSA. In-flight use will be determined by the airline and should be contacted on an airline-by-airline basis. 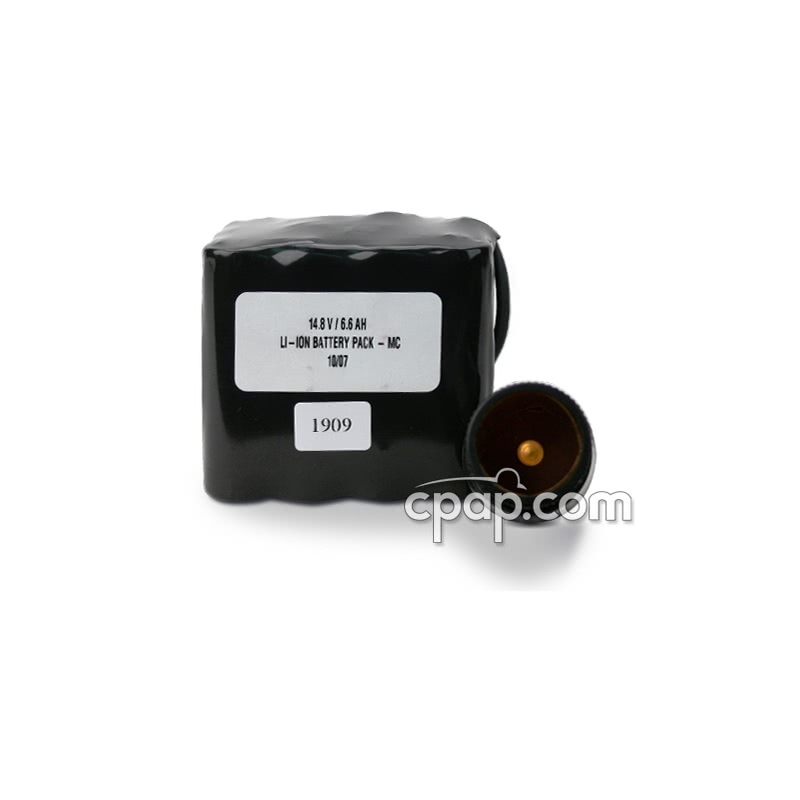 Please note that some heated humidifiers are not capable of being operated on 12 volt battery power sources. The M Series heated humidifiers with the 6'' 'pigtail' connectors are capable of running on 12volt DC power sources. Earlier model M Series heated humidifiers without the pigtail are not 12Volt capable, nor are the Legacy model REMstar and stand-alone H2 humidifiers. The No DC Cable option is perfect for someone who already has a 12v DC cable for their cpap machine. If you have any questions about which configuration to select, please call our toll free number 800-356-5221 for assistance from a cpap expert.